In the power generation industry, where an uninterrupted supply of power is critical, maximum reliability is essential. Freudenberg filter systems are optimally designed for these requirements. They protect turbines from fouling, improve availability, ensure longer maintenance intervals and significantly contribute to the avoidance of unplanned downtimes. From challenging ambient conditions to limited space or high contaminant concentrations – our engineers will work with you to develop the ideal filter concept for your plant. Protecting turbines. Increasing availability. Reducing downtimes. In the power generation industry, where an uninterrupted supply of power is critical, reliability is the highest priority. Freudenberg filtration systems make a valuable contribution here. They protect turbines from damage, improve the availability and extend maintenance schedules. For gas turbines and compressors of power plants near the coast or located onshore, two-stage filter concepts generally achieve ideal results: the first filter stage is typically equipped with pocket filters, the second with cassette filters. Particles and moisture will never have a chance. With a three-stage system, it is even possible to achieve EPA purity level (ISO ePM1 > 95%). Power plants for generating electricity near deserts are frequently subjected to special environmental conditions, such as high dust loads from desert storms or high morning humidity. These factors impact the selection of a suitable intake air filter system. Filter cartridges have proven themselves in practice here, frequently used as a cylindrical/conical set that can be operated with optimized pulse-jet cleaning. Depending on the requirements, filter cartridges are available even in EPA filter classes (correspond to ISO ePM1 90%). Inadequate filters in power plants endanger process reliability. If turbines fail, this quickly leads to bottlenecks in the power supply. 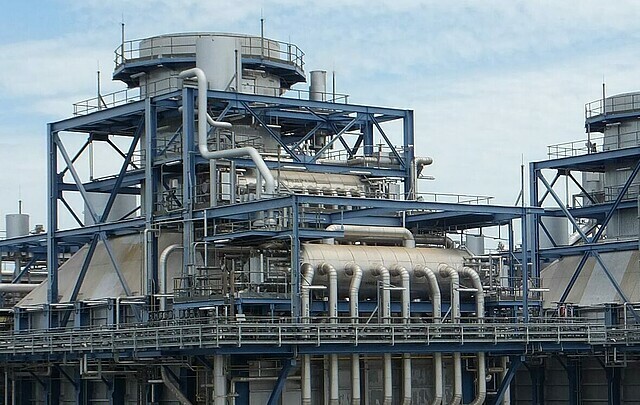 Filter solutions from Freudenberg Filtration Technologies are making two power plants in Ratchaburi, Thailand, both more reliable and more powerful. Benefit from our specialized expertise in power generation. Discover our products for power generation.